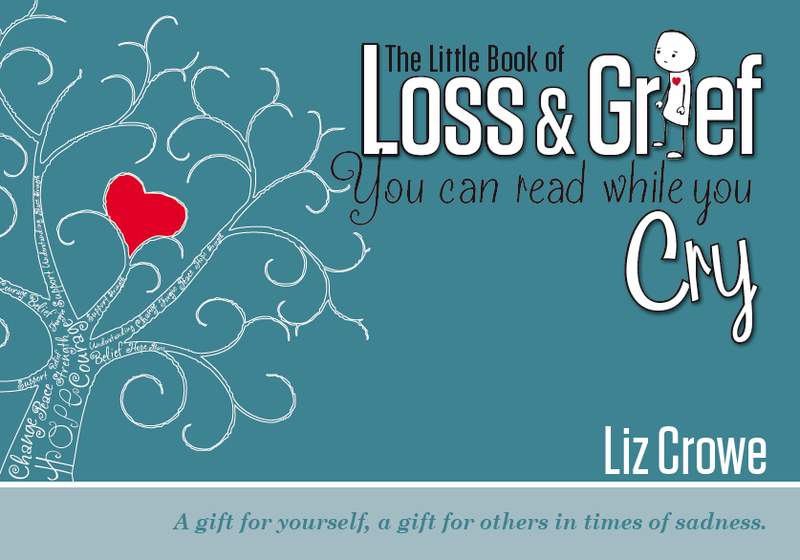 The Little Book of Loss and Grief You Can Read While You Cry is a 50 page book where I have taken all the research and theories on loss and grief, as well as my own extensive experience in the field, and broken this down into simple words, powerful messages and beautiful illustrations that people can return to again and again. The book could be given as a gift instead of flowers, sit on a coffee table in a GP surgery or be used by therapists, teachers or parents to help talk through the emotions and impact of loss and grief. The aim of the book is to both educate and comfort people in times of loss and grief. Society’s current beliefs about loss and grief are isolating and damaging. In my work, I all too often hear people across the lifespan wonder if they are “okay” or what they are experiencing is “normal” following a loss. During this crisis, people are often too sad and overwhelmed to read books filled with text, or websites with pages of testimonies and words. This is what prompted me to write a very simple text which can be read in less than 15 minutes, cover to cover, and is easy to return to during times of grief. Often people assume we only grieve when there is a death but the reality is that grief impacts every part of our lives. Any sort of change has the potential to be a loss event and bring grief. Moving house, relationship breakdown, health issues and financial strain will all bring about challenges and change which is often experienced as loss and grief. People often wonder why they feel so overwhelmed and sad without realising they are grieving. These events hurt. No matter who you are, how old you are, or your financial status – everyone will suffer grief during their life course and this little book aims to normalise what you are experiencing. I am therefore embarking on a mission to write a series of self-help books that will offer reassurance quickly and in a way that is easy and accessible to people of all ages and literacy levels. The Little Book of Loss and Grief You Can Read While You Cry was launched on the 3rd of April, 2014 to a crowd of 100 people at the Mary Ryan Bookstore, Milton. You can order the book directly from me via my blog, online through several bookstore sites, or find it on the shelves of your local bookstore – if it is not there ask them to order it in! It does not cost anything extra. I am a counsellor myself and through the haze of my grief in the last 5 weeks I have sometimes thought ‘in years to come if I ever feel strong again I am going to write a book about grief to help others’. I wanted to do this because I have realised how poorly understood it is. I now don’t need to write this book – you have written it! Thank you so much, this book is a precious gift to people who are grieving and those wanting to support them. Liz – I love this book and bought three copies from you at Liquid Gold. Do you have an e-book version? Would love to send it to a friend O/S.